TTR Casino is new for 2016, and is one of several top casinos operated by SoftSwiss. Even though it may be powered by that developer, that doesn’t mean to say that there aren’t other developers’ slots for you to play at the casino. TTR Casino is a bitcoin-friendly online casino, and they are more than adept at offering you gaming in both English and Russian.Even if you do not wish to use bitcoins, you can still deposit and withdraw at this online casino using US dollars, euros, or Russian roubles. TTR Casino is fully licensed out of Curacao, so it is a thoroughly safe place to play your favourite games. As we’ve just touched upon, there are several games from several developers that you can play at TTR Casino. Amatic, Endorphina, Ezugi, iSoftBet, Net Entertainment, Pocketdice, and of course, house games from SoftSwiss can all be played in the instant play and mobile casino platforms that TTR Casino supports. Games can be divided up into popularity, popularity, or can be searched either by entering the name of the game you’re after, or via an A-Z list. 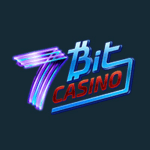 This is a casino which doesn’t have too many non-slot games to offer, but you can still expect to find a handful of baccarat, blackjack, craps, dice, live dealer casino games, mobile games, poker, roulette, table games, and video poker games at this bitcoin accepting casino site. TTR Casino’s most popular casino games currently include Space Wars, Dead or Alive, Victorious, Gonzo’s Quest, Jack and the Beanstalk, Book of Aztec, Casanova, The Wish Master, Guns N’ Roses, Creature from the Black Lagoon, Drive: Multiplier Mayhem, Aloha: Cluster Pays, Starburst, Reel Steal, Elements: The Awakening, Koi Princess, Secret of the Stones, South Park, Flowers, Red Chilli, Blood Suckers, Lovely Lady, When Pigs Fly, and Steamtower. If you fancy a run on the progressive jackpot slots, then try Rambo, Lucky Leprechaun, Rango Jackpot, Basic Instinct, Neon Wheels, Lucky Clover, Kobushi, Gold Hold, or The Olympic Slots. The first deposit bonus at TTR Casino can see you able to pocket a 100% match deposit bonus on the very first deposit you make as a new player. This bonus is valid up to ฿0.02, or if you prefer, €100, $100, or ₽10000. Players will also pocket a total of 50 free spins on the Guns N’ Roses video slot at this casino site. Every week, players have a chance to bag weekly cashback. On Mondays, TTR Casino offers all players the chance to claim 15% cashback. Should you have failed to win during the previous week, you could be on the receiving end of this good fortune from the online casino site. Aside from those two offers, there aren’t really many others for you to contend. Stay signed up to newsletters, though, as the casino may also provide you with an update on their hottest and most recent deals and promotions. As we’ve said before, you can use a number of currencies to deposit into your TTR Casino account. If you are choosing not to use bitcoins, there are other deposit methods open to you, too, and these include bank transfers, Cubits, MasterCard, Neteller, Paysafecard, QIWI, Skrill, Sofort, VISA, Wirecard, and Zimpler. Not all of these options may be free of charge, although you are guaranteed that if you use bitcoins as your currency of choice. Customer support at this online casino is available via live chat or e-forms. However, if you have a simple enough question, you can always try and seek out an answer yourself via the FAQ (frequently asked questions) guide, which is available from the lobby. This FAQ guide is one of the most in-depth of any casino, and you should be able to find almost all of the answers you might seek from it. There certainly is everything to play for at TTR Casino. The website contains a wealth of great games from numerous developers, and you have got a really good chance of winning at this bitcoin accepting casino. 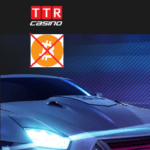 They may not have the largest selection of promotions at this site, but if you are more interested in security, speed, and having access to plenty of games, then TTR Casino is ideal for you. 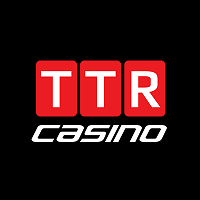 >> Join TTR Casino now! New casino games released this week!